Southport High School Senior, Evan Higgs’, recently stopped by Winchester Village, the elementary school he attended as a child. Evan’s visit was not a surprise; he was invited by his former coach and current 4th grade teacher at WV, Mr. Ben Danner, to speak to the fourth grade students about his time here in elementary his achievements in high school and his goals for the future. 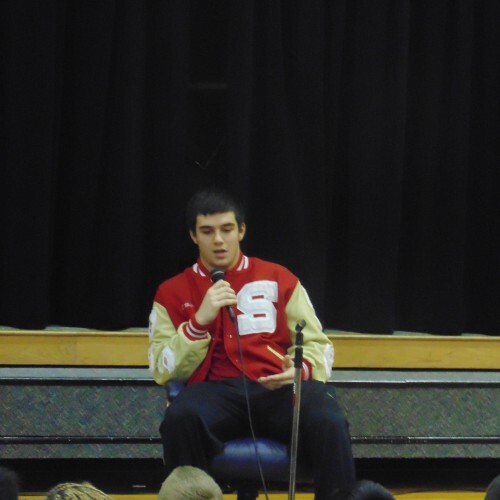 Evan played football and currently plays basketball for Southport High School. Mr. Higgs reflected on his time in elementary, middle and high school sharing that looking back he realizes now that his academics will be his vehicle for going on to college and playing football. He encouraged the kids to not let their grades slip and take learning seriously. 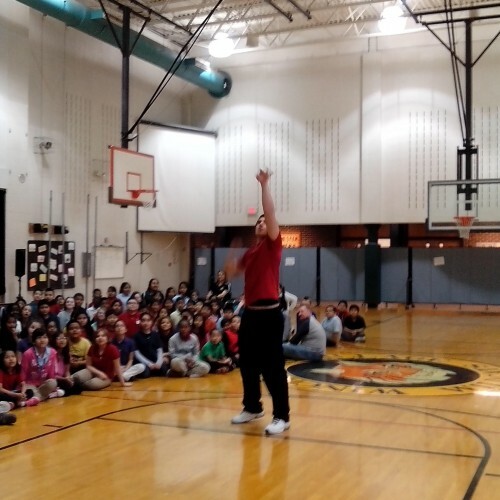 He wanted the kids to know that what they learn and do in the classroom will help them achieve their future goals. 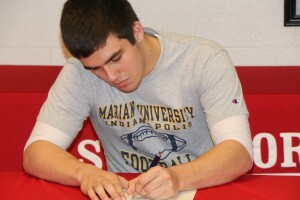 Evan shared that he has reached a goal; he recently signed a letter of intent to play football at Marian University. 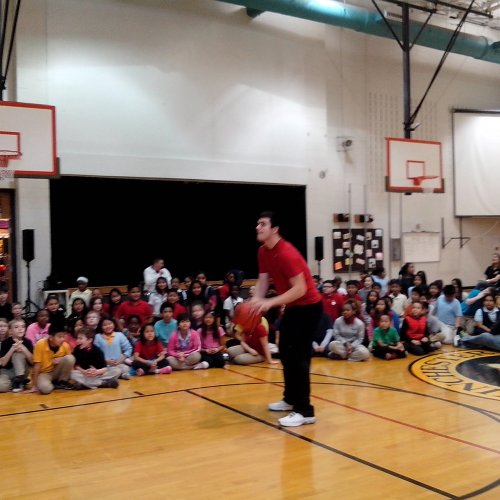 Evan demonstrated his basketball skills by shooting 10 free throws. Students practiced their fractions by counting how many shots he made out of ten. They then converted the fraction into a percentage. Thanks Evan for sharing your experiences with our students. Once a Wildcat always a Winchester Village Wildcat! Go Evan! Go Wildcats and Go CARDS!